The cryptocurrency market began to bleed from the start of the new year and saw no signs of relief. As of January 14th, the coins that recorded the greatest loss are Bitcoin SV [BSV], Bitcoin Cash [BCH]and Litecoin [LTC]. 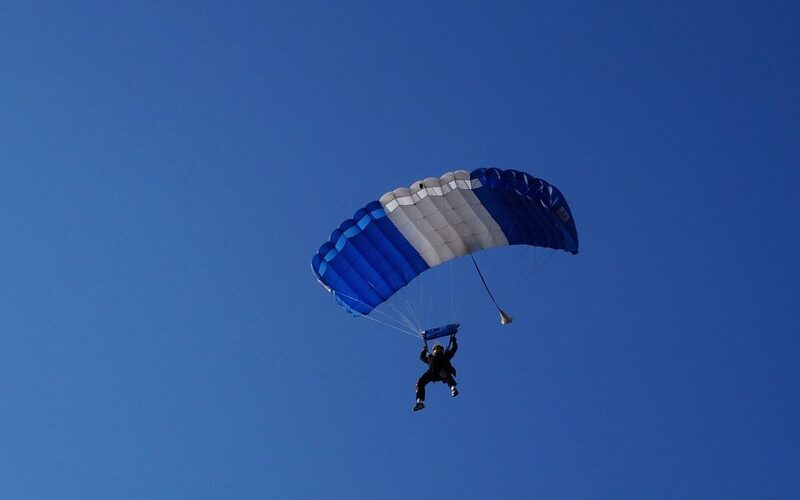 Bitcoin SV [BSV], the tenth largest coin on CoinMarketCap, has been falling in recent days and has failed to make a steady recovery. At the time of printing, the currency slipped 9.53% in the last 24 hours with a market capitalization of $ 1.3 billion. The currency recorded a 24-hour trading volume of $ 106 million and fell 13.21% from last week. The currency managed to record 0.45% growth in the last hour. The currency was highly traded on Bit-Z with the BCHSV / BTC pair. The exchange recorded a volume of $ 17 million. Binance posted the second highest trading volume of $ 13 million with the BCHSV / USDT pair. Binance was followed by UPbit with the BSV / KRW pair and the recorded volume was $ 11 million. 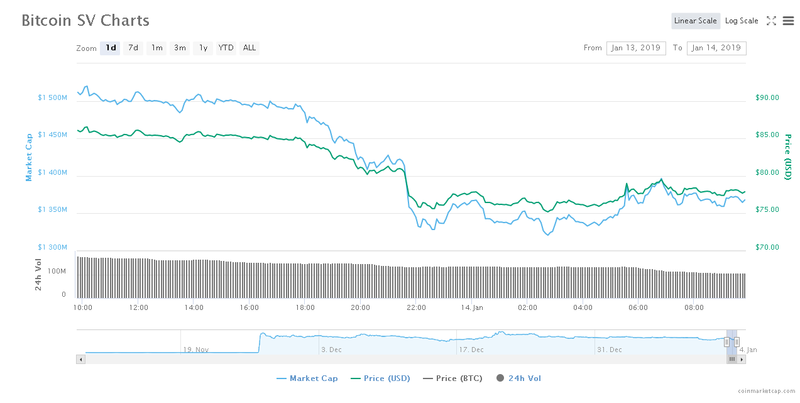 According to the one-day chart of Bitcoin Cash [BCH], the fourth largest currency had fallen by 6.90% in the last 24 hours. The currency was valued at $ 126.01 with a market capitalization of $ 2.2 billion. The currency recorded a 24-hour trading volume of $ 173 million with an impressive 24.2% fall from last week. The currency is still declining by 0.08% in the last hour without any sign of recovery. The currency was highly traded on Huobi with $ 16.5 million with the BCH / USDT pair. Huobi was followed by Fatbtc, which recorded a volume of $ 10 million with the BCH / CNY pair. In third place, ZBG recorded a trading volume of $ 9 million with the BCHABC / USDT pair. 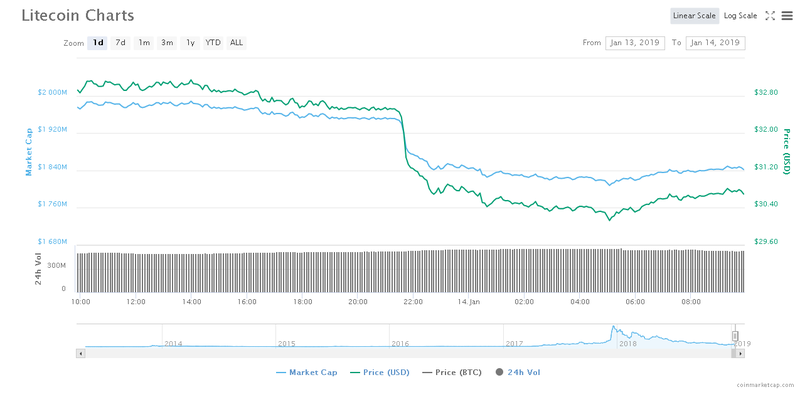 The third biggest loser was Litecoin [LTC], which fell 6.55% in the last 24 hours with a market capitalization of $ 1.8 billion. The currency recorded a 24 hour trading volume of $ 534 million, a sharp drop of 21.05% over last week. The currency did not reach stability, as it recorded a growth of 0.15% in the last hour. The currency was highly traded on the DOBI Exchange as it recorded a volume of $ 53 million with LTC / BTC pair. The second highest trade was registered by ZB.COM with a volume of $ 48 million and the third position was taken by OKEx with a volume of $ 39 million with LTC / BTC pair. The market is seen to fall every day, however, the Tron [TRX] it is the only coin that oscillates in extremes. The coin was seen pumping, followed by being devastated by fear, and pumping again at the time of printing. Namrata is a full-time journalist and is interested in covering everything under the sun, with special attention to the encrypted market.